Traverse City Therapist: Paul Kaschel - Therapist 49686. Paul Kaschel and his wife Jackie founded Paraklesis Inc., a 501c3 non-profit corporation in 1990. Paul has been the director of Forest Lakes Counseling, a faith based counseling center since the inception of the organization. Paul and Jackie were ordained in 1989 through the National Christian Counselors Association and have worked together for many years in the community and abroad in a variety of capacities including individual and group therapy, seminars and retreats. They have also served the Community of Faith in Traverse City by taking leadership in the local pastor’s association, classes, worship, and serving on local church boards and staff. Paul and Jackie were married in 1985 and have 7 children. They have counseling experience in a broad range of areas including anxiety, depression, relationship issues, spiritual struggles, adoptive children, foster care, reactive attachment disorder, a wide range of marital issues, affair recovery, substance abuse, sexual abuse, sexual addiction and gender specific issues. Since 2008, Jackie's focus has been at PEACE Ranch where she is the Executive Director. Both PEACE Ranch and Forest Lakes Counseling are under the umbrella of Paraklesis Inc. PEACE Ranch offers a number of programs using equine therapy for team building, mental health issues, autism spectrum disorders, single mothers, veterans/PTSD and other populations. Paul and Jackie work together whenever it is appropriate to combine the Forest Lakes Counseling services with PEACE Ranch services. Paul has worked in the Mental Health field since 1981 when he was a Mental Health Worker at Forest View Psychiatric Hospital in Grand Rapids. He went on to work at Kent Client Services, an organization that serves the Developmentally disabled population, as a Staff Psychologist. He received his master’s degree from Western Michigan University in Clinical Psychology in 1986, and his doctorate from Oxford Graduate School in 1993. Paul serves the community primarily through Forest Lakes Counseling where he has been both staff psychologist and acting director. He is a charter member of the American Association of Christian Counselors. He is on the referral list for a number of well know organizations such as Focus on the Family and Exodus International. 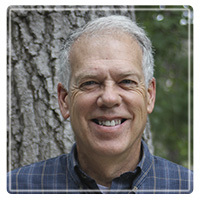 Paul is a Limited Licensed Psychologist, Board Certified Professional Christian Counselor through the Board of Christian Professional and Pastoral Counselors, is certified to treat sexual addictions, and is certified in the EAGALA (Equine Assisted Growth and Learning Association) practice model of equine assisted psychotherapy and learning as the mental health practitioner. This is a type of therapy that uses horses as part of the experiential process. There is no riding involved, and no horse experience is necessary. In spite of what might look like a stuffy background, Paul is down to earth and as comfortable on the farm as he is in the counseling office (perhaps more so). He is also old enough to know that pat answers are not enough, and that quality in relationships both with God and loved ones is the core of the good life. Please take a risk and give him a call today.